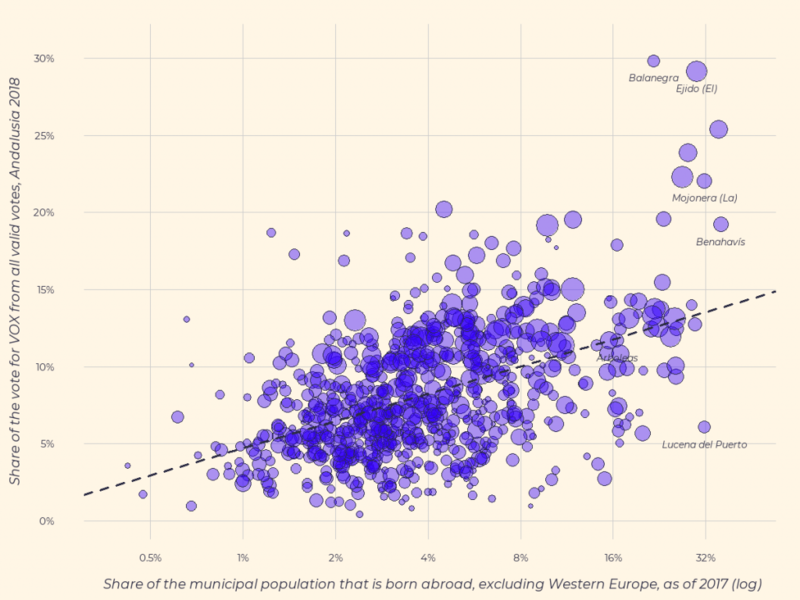 To mark the end of 2018 we’ve compiled a list of five charts on some of the major stories from the last twelve months in European politics. In many EU states, wage growth has been lagging behind productivity growth over recent decades. 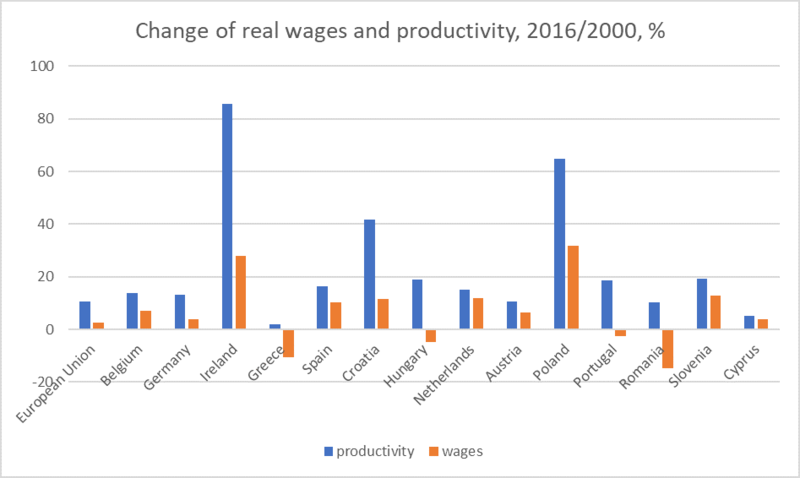 Bela Galgoczi examined why wages and productivity – essential for a fair distribution of the spoils of economic growth – have increasingly decoupled from each other across European countries. 2. Who was to blame for the crisis? The Eurozone crisis has left a lasting mark on European politics, but how do different states assign blame for the crisis? A new study from Henrik Müller, Giuseppe Porcaro and Gerret von Nordheim illustrated how different actors have been assigned blame for the crisis in France, Germany, Italy and Spain. Note: ‘Blame’ for the Eurozone crisis in France’s Le Monde newspaper. On 2 December, a radical right party – Vox – gained representation in the regional parliament of Andalusia: the first time such a party had won seats in a Spanish regional assembly since the country’s transition to democracy. Dimiter Toshkov charted the link between immigration and support for the party in different parts of Andalusia. Note: Electoral data from Junta de Andalucía; demographic data from Instituto de Estadística y Cartografía de Andalucía. Italy’s election in March established the Five Star Movement and the League as the country’s two largest political players. 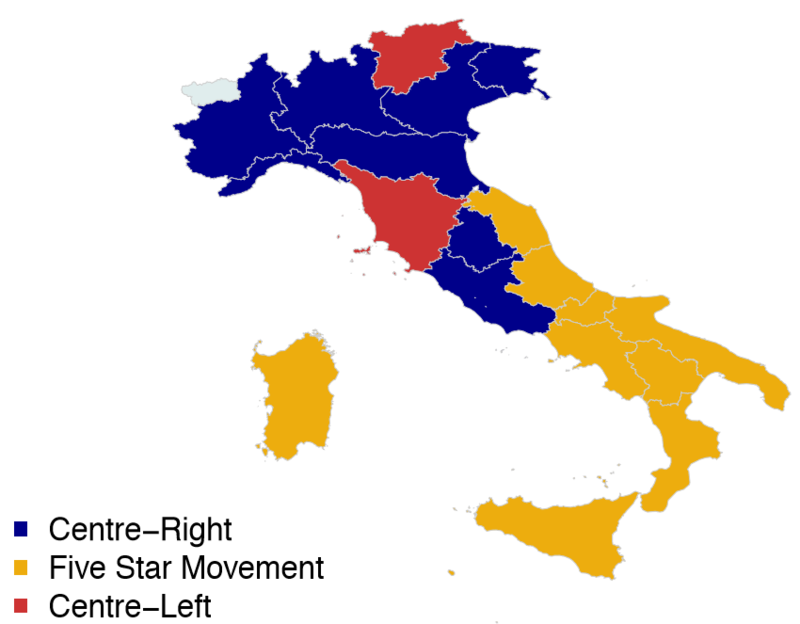 Chiara Vinciguerra sought to understand the new dynamics of Italy’s party system, and the geographic variation that existed in support for the two parties. Eurozone reform continued to be a major talking point in 2018. A new study by Magnus Lundgren provided some context on which states have proven to be most successful in reform negotiations – highlighting that while there is a perception Germany was the single most important player, the average negotiation success of states was surprisingly balanced. 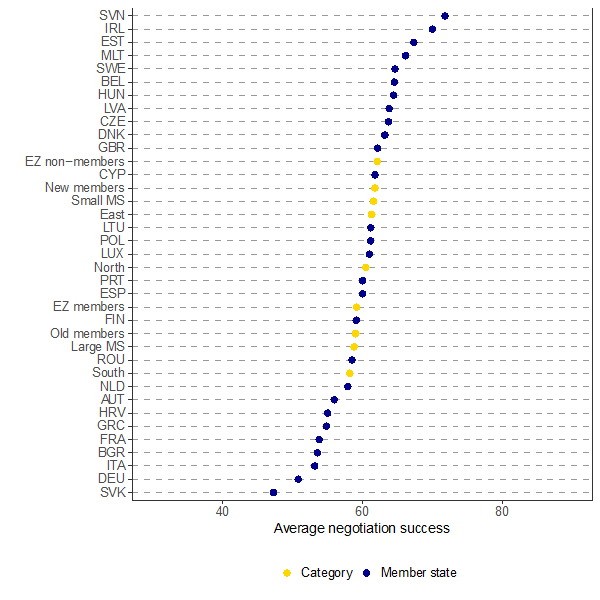 Note: Average negotiation success of EU member states during Eurozone reform negotiations, 2010-2015. 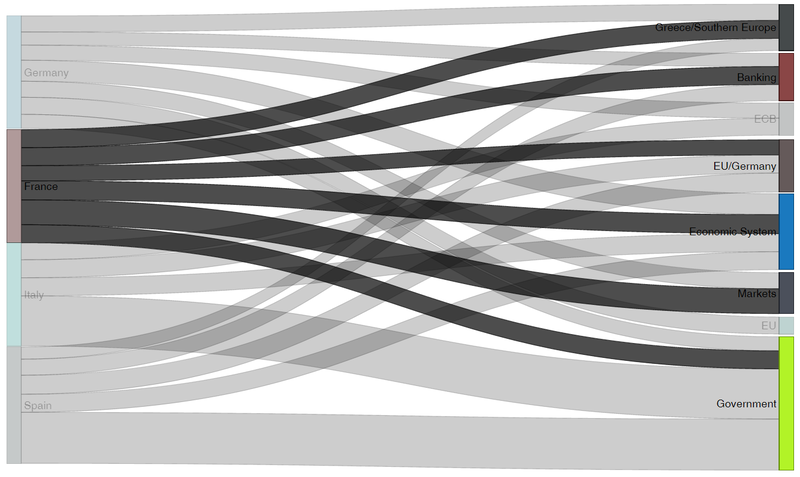 Negotiation success (0-100) measured based on how frequently a member attained its preferred outcome. Data on 39 different negotiations. Note: Interviews give the views of the interviewees, and not the position of EUROPP – European Politics and Policy, nor of the London School of Economics.